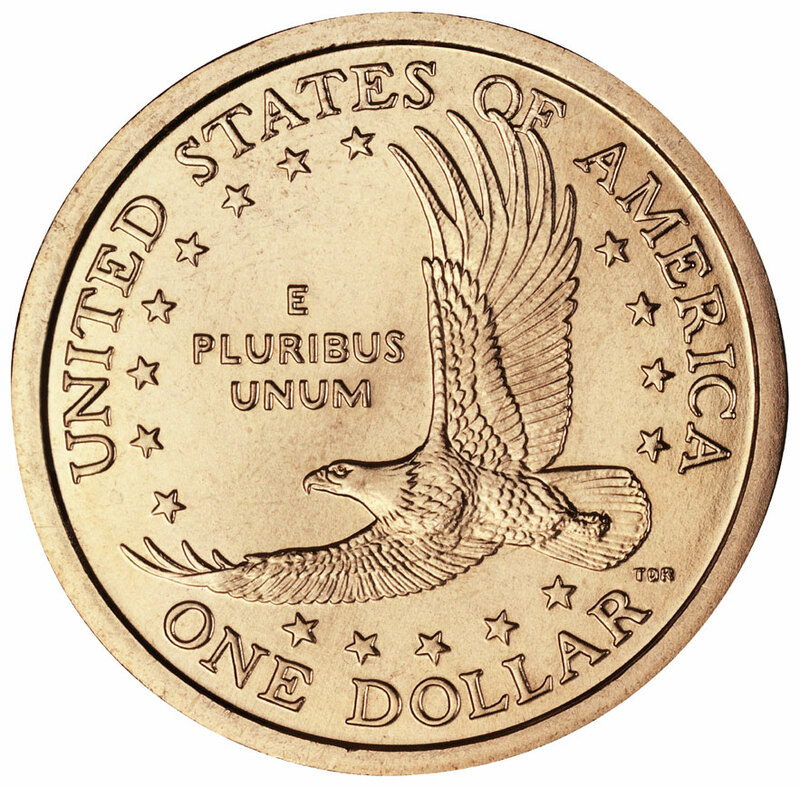 The Golden Dollar's obverse has Sacagawea looking straight ahead. Glenna Goodacre, the artist of the obverse, included the large, dark eyes attributed to Sacagawea in Shoshone legends. On her back, Sacagawea carries Jean Baptiste, her infant son. 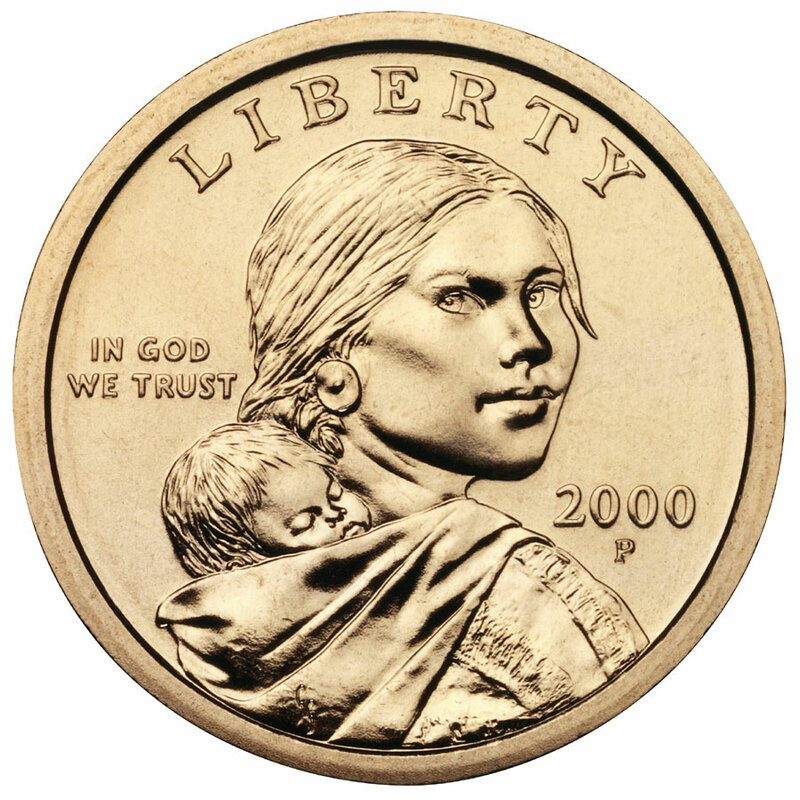 The Golden Dollar shows Sacagawea, the young Shoshone Indian woman who traveled with and helped Lewis and Clark to explore the territory called “Louisiana.” The baby she carries on her back was the youngest member of the party. He was born during the expedition.